If you were looking here to find out if Bradley was hired as the Egyptian NT coach, I wish we could tell you that someone, anyone was hired. Reportedly, the hold up on Bradley is that he's asking ~$1mil where Egypt is offering ~$680K ($80,000 more than he was paid by the USSF). American coach Bob Bradley is gearing up for the task of managing Egypt even though he has yet to agree terms with the FA, as revealed by former US goalkeeping coach Zaki Abdul-Fattah. Bradley, the closest of three candidates to land the Egypt job, is keen to follow the training of some Cairo clubs as he is still in talks with Samir Zaher and his board over the vacant seat. 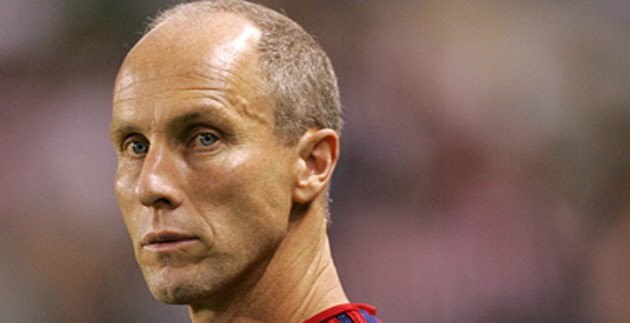 Bradley was sacked as USA coach by the end of July, nearly two months after Hassan Shehata parted ways with Egypt.The 53-year-old led his nation to the 2010 World Cup round of 16 before being ousted by Ghana. And several Egyptian bloggers have voiced their opinion that Bradley is doing more to try to earn the job than previous coach, Shehata, did to maintain the job. Many times, the Egyptian national team would field players almost exclusively from Al-Ahly and Zamalek. Granted, both teams have a huge history in Egyptian football and deep roots to draw from, but the idea that a coach would come in and try to actually scout other clubs when the previous one never did is apparently a shocking revelation. The NT coach position was supposed to be decided prior to the African Cup of Nations kickoff qualification match in Sierra Leone tonight, but instead, Egypt announced they would be sending their Olympic team to play as qualification is almost now impossible after several recent stumblings. * The first real test of the next new NT coach will be against Niger in October. * Egypt just lost 2-1 to Sierra Leone away, so they are effectively eliminated after having won the last three Cups.